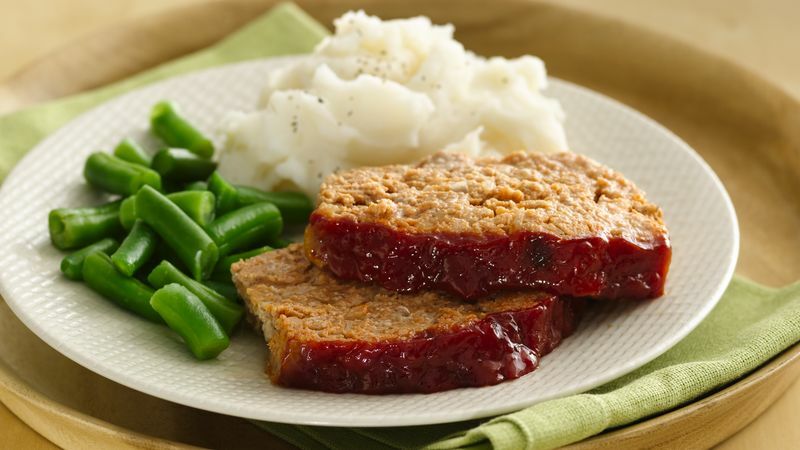 Meatloaf.... - foodie furs - Furtopia | Family Friendly Furry Forum and IRC Chat! I've heard it's great with bbq sauce, but I've only had it made with ketchup, so I'm not a huge fan of it, but I think if I could make it for myself, I'd actually enjoy it. My mother makes a great homemade meatloaf with homemade macaroni and cheese. Mmmm, Mmmm good. Though she hasn't made it in a long time I really do miss it. I should pester her to make it again sometime. Never had it. It's not really a thing over here. Darn you, Kaiden for posting this topic! Now I'm getting hungry for some. I had it last night. Meatloaf is good when hamburger is cheap. I use 3/4 pound of hamburger, about a half cup of dry bread crumbs, half a large onion, and one teaspoon of Johnny's seasoning salt. I kneed the meat well. Some times I flattened the hamburger out and put Cheddar cheese and roll it back up. As for the glaze I use 1/4 cup of Ketchup, two tablespoons of brown sugar and a good squirt of sriracha sauce.